What’s in a brand strategy? These are the kinds of pseudo-philosophical questions that keep business owners up at night. To understand brand strategy better, let’s start with the ‘brand’ aspect: What makes up a brand? When we speak about brand “identity”, we start to approach the idea of a brand as a person — and, in fact, this comparison can help immensely. A unique brand identity, like an individual’s identity, is made up of the voice of the brand, the tone it sets, the theme it chooses, its messaging and how it chooses to convey its messages (light? playful? serious? innocent? curious? ), how it visually presents itself and what choices and decisions it makes in alignment with these cross-functional aspects of an identity. Brand strategy is who the business is. Marketing strategy is how the business expresses who it is and what actions it takes to showcase that. It’s not as convoluted as it first appears and, yes, you can definitely have a clearly demarcated checklist. Let’s take a look. The difference between what you do today & leaving your mark in tomorrows MILLENNIAL WORLD. Before your business can get to the details of the ‘how’ — such as getting found using SEO, creating ad campaigns, or strategising and implementing sales funnels — you’ve got to zoom out and articulate, with specificity, the driving values and principles behind your product or service. A brand strategy is a document — not a static one but something responsive, flexible, open to change — that defines your business’s purpose, its raison d’être,its positioning in the market, the values by which you operate, the vision you’re trying to create through your company’s service/product, and the target customer who resonates with and shares in these concepts and ideas. Included in a brand strategy is the brand’s visual identity. Remember those aspects of an individual’s identity we discussed above? Voice, tone, and “visual presentation” are part of a brand’s signature identity. This comes through in messaging, via copy, logo design, interactive user elements, fonts, typography, formatting and style guides. Brand strategy is the unitary DNA, the guiding soul of a business, which helps you, thereafter, make focused and clear decisions based on this standard. It’s like a compass and a map. Complete with Google Business reviews and street views, if you’d like. It’s only based off of this identity that your marketing department can operate at all. So how do you express your brand’s identity and strategy? What actions will you choose to take to get the word out? What are the tactics and techniques you’ll be using and where will you be operating? That’s marketing strategy and it can occur in various formats, including content and inbound marketing, digital campaign development (using Adwords, Google Display Network, Facebook Ads), social strategy (posting, type of posts, schedule), PR, omnichannel marketing, email marketing and even print/catalog marketing. These are the vehicles that move your brand message from within to without, towards your ideal audiences and customers. You can use a blend of these strategies or focus on just one or two. It’s a combination of brand strategy plus budget, customer data, tech trends and campaign customer data that drives your pivots. Creating editorial calendars and publishing schedules for use on various content marketing platforms include blogs, guest posts, live events, social media networks, etc. For more thoughts and insights on how to align your brand in your organisation please visit our article on Brand Strategy vs Business Strategy. 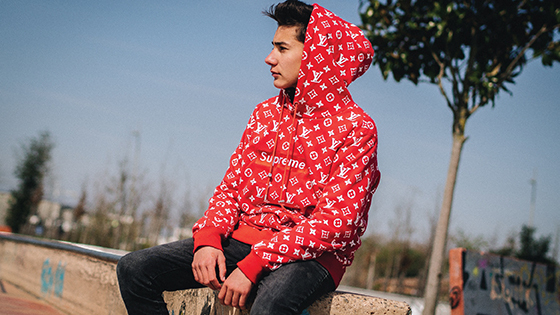 Somehow both of these things are true at the same time: Supreme sells $40 graphic T-shirts to hyped-up teenagers, and Supreme is worth one billion dollars. This shows the real value in branding – it’s not the marketing that created a global community, and it’s not the PR activities that made the partnership possible with artists, photographers, designers, musicians, filmmakers and writers who defied convention and contributed to its unique identity and attitude. It’s the personality of the brand that made all things possible. 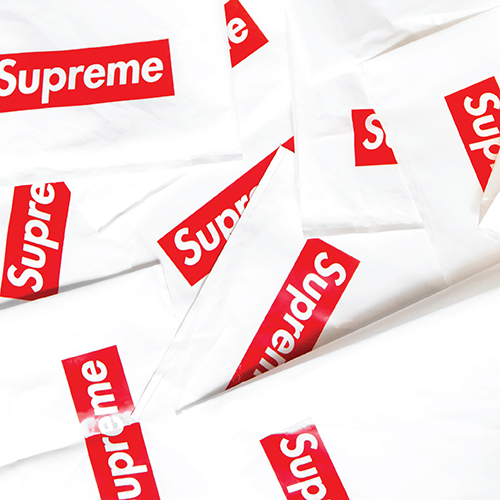 Yes, the marketers and PR agents took the brand and gave it a platform to be seen and heard, but the reason they can sell exclusive T-shirts in excess of $400 is the brand.